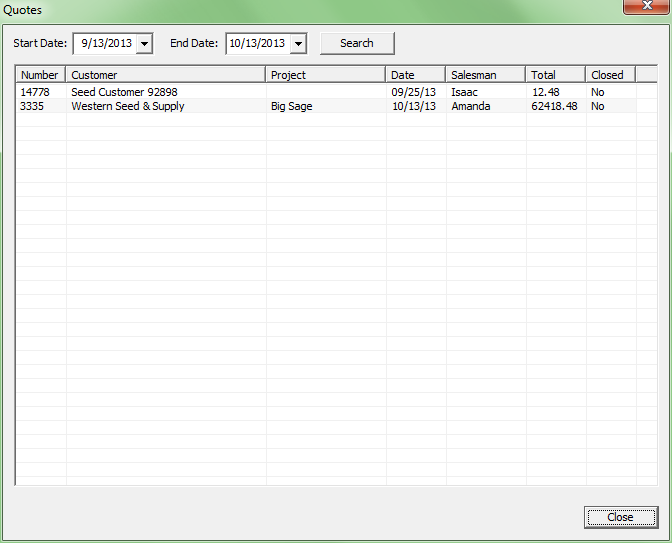 SeedVue quickly creates seed quotes with mixes, lots, and areas. 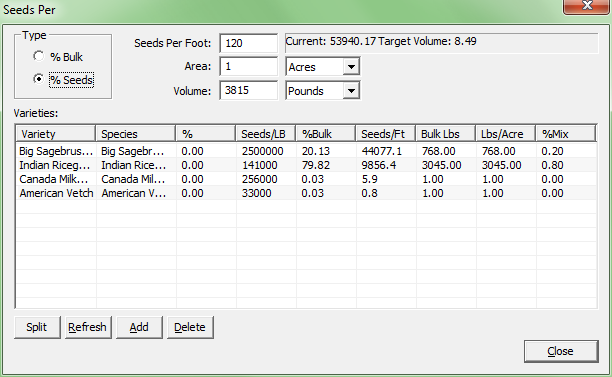 Automatic Seeds Per Foot Calculation. 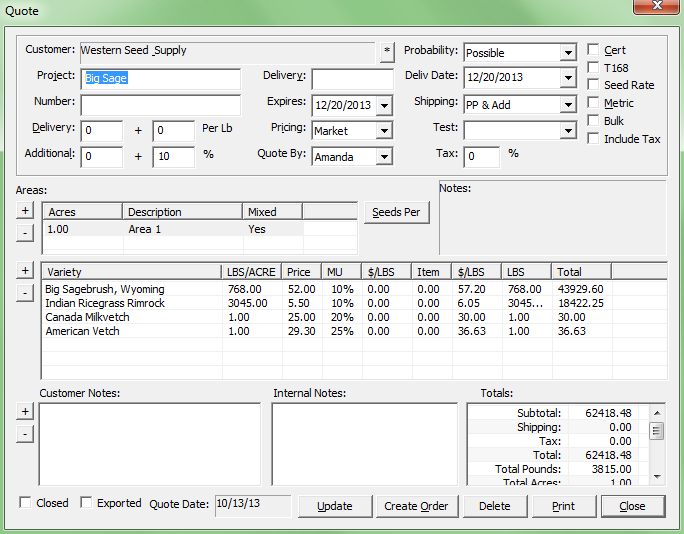 Calculates Seeds Per foot or Seeds Per pound. Enables anyone to easily create complicated mixes and quotes. Quotes can be quickly retrieved via quote list.